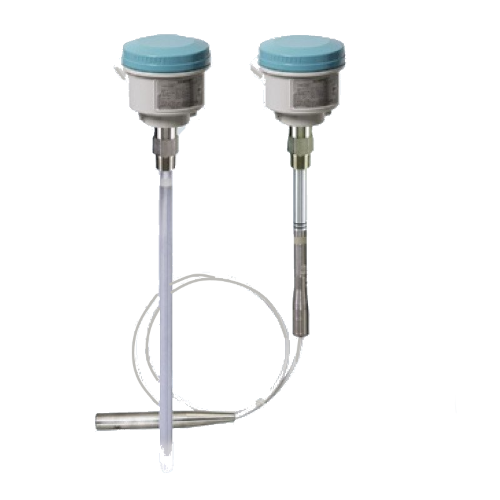 The SITRANS LC 300 is an inverse frequency shift capacitance continuous level transmitter for liquids and solids applications. It is ideal for standard industrial applications in chemical, hydrocarbon processing, food and beverage, mining, aggregate and cement industries. The SITRANS LC 300 is a 2-wire level measurement instrument combining a sophisticated, yet easy-to-adjust, microprocessor with field-proven probes. It is available in two versions: rod and cable. It has a stainless steel process connection with an PFA-lined probe. Materials with low or high dielectric properties are accurately measured and patented Active-Shield technology helps in ignoring the effects of build-up near vessel nozzle.